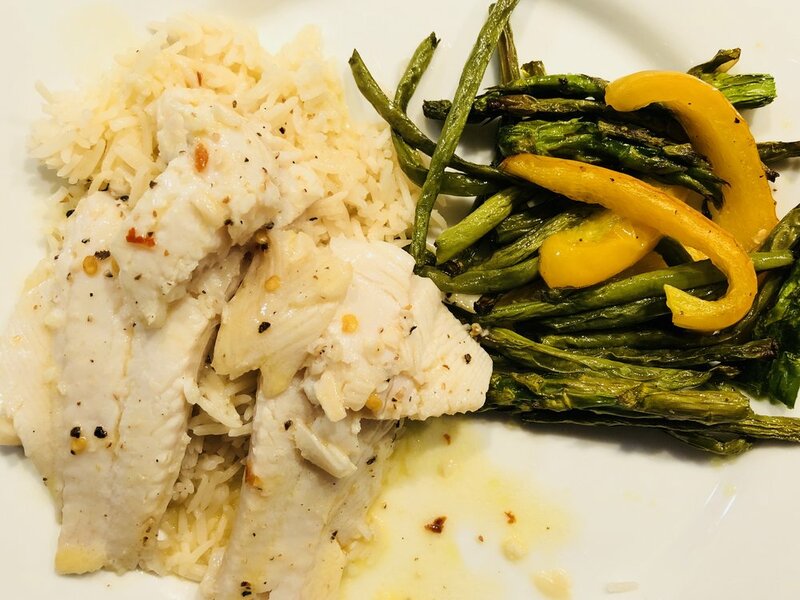 This is one of my fav ways to jazz up a simple white fish fillet. 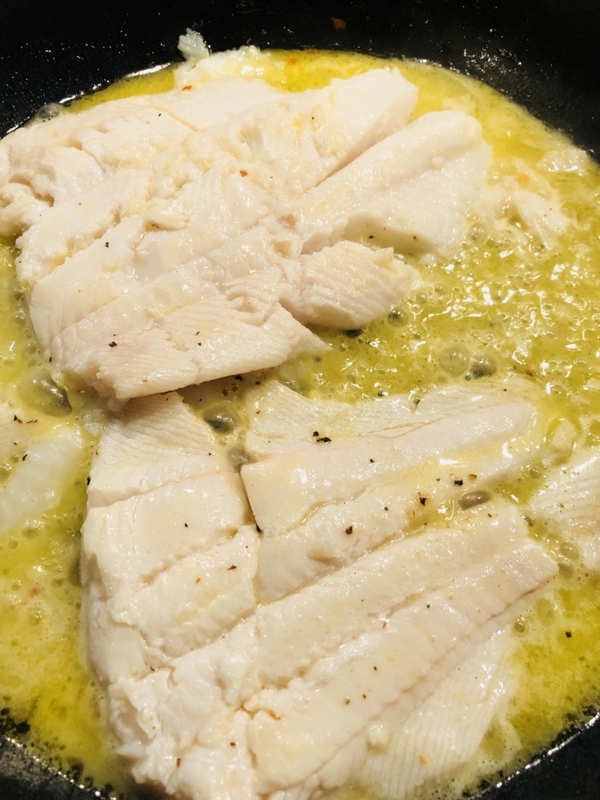 You can use any simple white fillet such as Cod, Hake, haddock, halibut or sole. The thinner the fish, the quicker it cooks. Choose 2 good size portions as they shrink slightly when cooked & flakey.